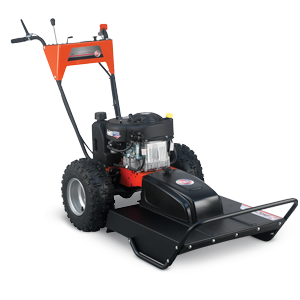 DR Tow-Behind Field and Brush Mowers are the perfect machines for clearing dense growth in large, open areas. 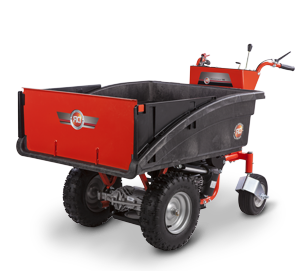 With engines that produce up to 20HP and 30.00 FPT of torque, DR Field and Brush Mowers can take down saplings up to 3″ thick, mow 6′ high thick grass, and 8′ tall weeds. 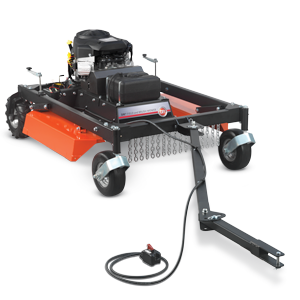 A remote control lets you engage the mower blade from your towing vehicle. Pivoting blades protect the drive train. Unique swinging blades pivot when hitting an immovable object, to protect the mower’s blade, spindle and engine. Sealant-filled tires prevent in-the-field flats from punctures caused by sharp sticks, stubble, glass...even nails. Laser-cut from thick-walled plate steel and seam welded, the deck and frame are crafted to withstand stress and strain. 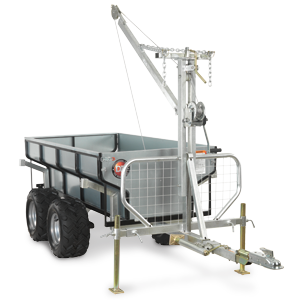 Articulating Hitch allows the mower completely offset from the towing vehicle, left or right. No tools height adjustment. Choose your mowing height — from 4" to 7-½" — with two easy-turning hand cranks. 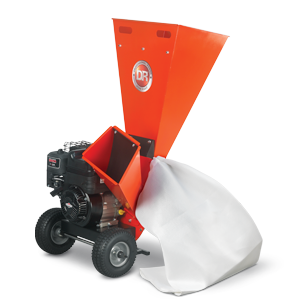 The electric clutch engages the cutting blade and is self-adjusting.